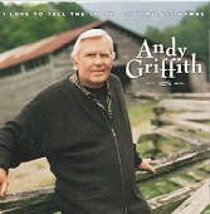 Andy GriffithA beautiful collection of 25 classic hymns. Youll be inspired by Andy Griffiths heartfelt rendition of such favourites as The Old Rugged Cross, Shall We Gather at the River, Softly and Tenderly, and many more. About "I Love to Tell the Story"